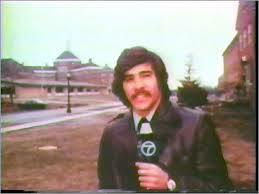 Young Geraldo Rivera blew the lid off institutional abuse, reporting on Willowbrook. The idea of equal and quality medical treatment for all Americans was promoted by Hillary Clinton in her efforts to overhaul the U.S. healthcare system in 1992-93. Many believe this goal has now been brought to fruition via the Affordable Care Act. But as it is impossible to ascertain every special medical need through legislation, there will always be a need to oversee programs and services. One important aspect of healthcare is neurological health. This specialty includes the identification and early monitoring of Alzheimer’s, the identification and assessment of the effects of strokes, tumors, soft-tissue damage, and other types of damage to the brain that may occur through accidents, alcohol, and a variety of other problems. The treatment of the various types of epilepsy and seizure disorders is a specialty in itself. How can pharmaceutical companies look for effects of their medicines on the memory and intellectual functioning of the developmentally disabled? There is one group of Americans, numbering six to seven million people, for whom this kind of care is rare, if not nonexistent: the developmentally disabled. These individuals lag behind in receiving the treatment available to other persons, even the poor. The video clip from Geraldo Rivera’s 1972 exposé, Willowbrook: The Last Disgrace, which featured Robert F. Kennedy, shows the unbearable manner in which many developmentally disabled children were treated a mere 40 years ago. Although there are cognitive and IQ tests to make the gross assessment of mental retardation or intellectual disability, we lack tools to identify certain strengths and weaknesses in this group of people. How does the family of a developmentally disabled person know if their son or daughter’s forgetfulness in adulthood reaches the level of pre-Alzheimer’s or Mild Cognitive Impairment (MCI)? For most of us, an array of tests can be used to estimate our baseline functioning compared to possible decline. For the families of people with Down syndrome, this is especially important since 30 percent of them will display symptoms of Alzheimer’s by age thirty. In developmentally disabled persons, how can the effects of a car accident that causes damage in the left side of the brain (Broca’s area) be measured after the injury and at various points during rehabilitation? And how can we recognize the signs of motor depression in persons who cannot speak? At the present time, most developmentally disabled people cannot receive the same kind of treatment in these 4 (and other) areas due to the lack of measurement tools. I worked with a particularly sad case of a young man with Down syndrome over 25 years ago. His family and neurologist were convinced that he was losing his memory and verbal skills. It turns out that I had tested him 4 years before—when he had received the lowest score possible on the IQ test. On the new administration of the tests, he also received the lowest-possible score. So according to the test, nothing was different. This is the type of profile that frequently emerges. When I examined the scoring profiles carefully, I noted that during the first testing the young man was answering the questions in responses of 5 and 6 sentences; the latest performance showed sentences/utterances of one to two words. This kind of assessment scenario happens far too frequently with this group. This situation may improve in the future. The American Mental Health Foundation of New York City and Pearson Assessment-Clinical Division of Upper Saddle River, New Jersey, are generously providing seed money for a pilot study to see if construction of a cognitive and neuropsychological test for the developmentally disabled is viable. Sections would include areas such as cognition, executive functioning, communication, fine- and gross-motor skills, daily living skills, savant skills (important to discern in people with autism), and an assessment of strengths using Gardner’s paradigm. We plan to also screen for anxiety and depression. We plan to use Pearson’s new Q-communication capabilities where an examiner uses a computer tablet to present questions and the person being assessed answers many of them on another tablet. Of course, there will also be tried-and-true three-dimensional items. AMHF, Pearson, and I also will use the tablets to record a five-minute standardized interview of language and motor functioning that would be helpful for medical providers immediately and at re-testings in the future. You may notice I use older terms, such as mental retardation and developmental disabilities, instead of new expressions like intellectual disability. The reason is that the earlier terms clearly describe the high level of diminished functioning that can occur and thereby suggest the highly expensive (from a financial and human point of view) treatments for these conditions. For example, a profoundly retarded person who lacks speech and has other disabling issues may require a 24/7 medically supervised group home costing up to $250,000 per year. By comparison, a mildly retarded person who lives in the community may need funding in the range of $50,000 to $100,000. When a term like intellectual disability is used—even though it is done with the positive intention of making everyone aware that developmentally disabled people share our basic humanity—there is confusion. A legislator who has a family member with a learning disability requiring $4,000 of tutoring a year may be aghast when shown a proposal asking for $250,000 per person, since the legislator views so-called intellectual disabilities as being some form of a mild condition. This exciting new project, largely funded by AMHF, is intended to offer developmentally disabled people—whether their impairment is slight or profoundly severe—the kind of assessment that has been available to the rest of us for decades. It is a humbling experience for me to work with some of the psychologists who have developed the classic measures in psychology and neuropsychology that are being used worldwide, such as the Wechsler Intelligence tests. There will be many points along the way where we will need to decide if one or another tool is feasible and practical. But we are beginning with understated confidence. Our hope is: No person will be untestable. Dr. William Van Ornum is professor of psychology at Marist College and director of research and development/grants at The American Mental Health Foundation. He studied theology and scripture at DePaul University.